These small houses, cottages, futuristic domes and charming treehouse design ideas offer beautiful retreats and inspirations for wonderful vacations in summer. Sustainable design and eco friendly ideas seduce with terrific getaway opportunities for nature lovers. 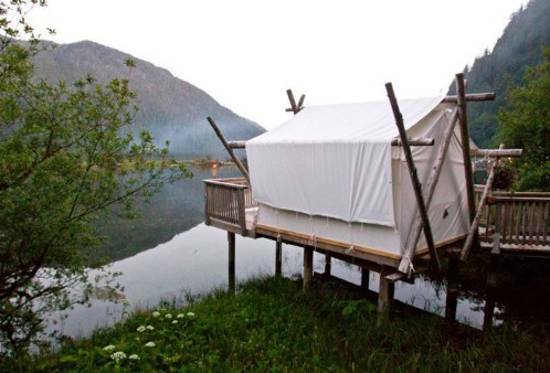 Eco-friendly hotels, resorts, and camps around the world invite in their original and comfortable tents, cottages, domes and treehouses, and provide great inspirations for luxurious, innovative and modern sustainable design. Sustainable design and eco friendly ideas can make the summer vacation even more pleasant and interesting than anybody expects. Natural materials, innovative solutions and unusual design ideas blend the simplicity with true luxury, offering beautiful and luxurious places to stay, relax and connect with the nature. 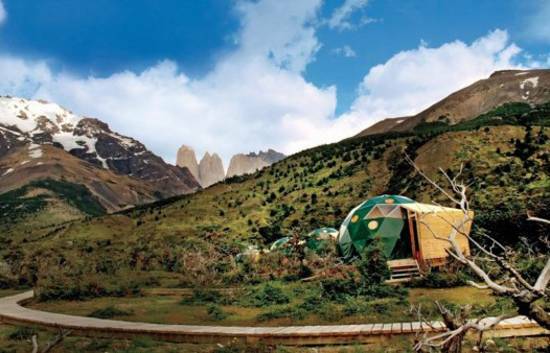 The Ecocamp of Torres del Paine National Park features 24 geodesic domes that run entirely on hydro and solar power. The camp is nestled in the mountains at the very tip of Chilean Patagonia, where guests can spend days hiking or boating past calving glaciers. Nature-lovers will find heaven in Clayoquot Wilderness Resort, Vancouver Island, Canada. This camp of 24 pristine-white tents hidden deep in the forest, where black bears tussle in the woods just outside. The site offers horseback riding, deep-sea fishing, whale watching and rock-climbing. Guests fall asleep by candlelight on simple and comfortable rough-hewn log beds that tents offer. 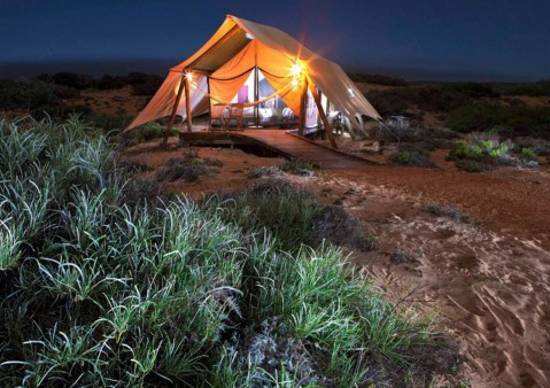 The eco friendly camp in Australia offers wonderful tents. The Sal Salis Ningaloo Reef, Exmouth, features small size and green protocols. – solar power, composting toilets, easily dismantled pole-mounted dwellings. Eco friendly ideas mean minimal impact on the pristine stretch of Australian coastline. Located a few hundred feet from the shore, the camp is specially situated for nature and water sports-lovers. Just yards offshore, snorkelers and divers revel in the reef, which teems with sea turtles, manta rays, reef sharks and migrating humpback whales and whale sharks. The Dorado Beach, A Ritz-Carlton Reserve, Dorado, Puerto Rico has a 17-kilometre nature trail. It is built with a solar facility in the works. The hotel also eschews plastic bottles for reducing its carbon footprint. Spending days sunning on pristine Dorado Beach or hiking through the El Yunque National Rainforest makes your vacation very pleasant. 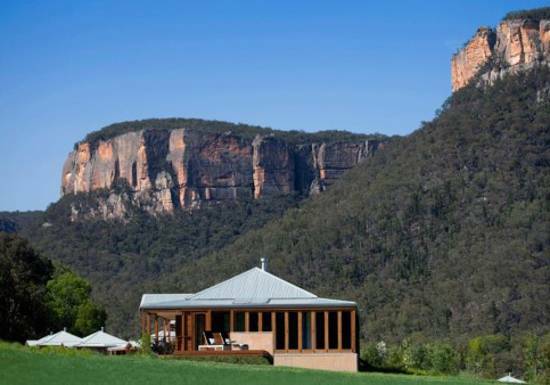 The Wolgan Valley Resort and Spa, Wolgan Valley, Australia, features a gorgeous property on an old cattle ranch with a 180-year-old renovated farmhouse, which is located between two national parks. Not a single tree was destroyed during construction, and Green building efforts relied heavily on local, natural and recycled materials. Watching wallabies hop across the fields at sunset and sipping a glass of Aussie shiraz on a private veranda creates hard to forget luxurious and eco friendly vacation. The sustainable design ideas makes the resort entirely carbon neutral. 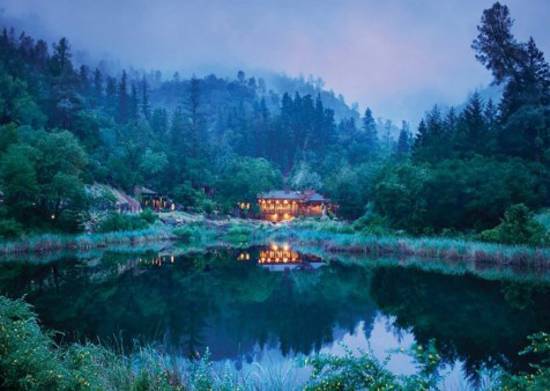 The Calistoga Ranch, Napa Valley, California, offers cedar-shingle guest lodges, which are built near charming lakes and streams. Some cottages are set under trees, merging indoor and outdoor spaces. The cottages feature fireplaces and outdoor showers. The resorts looks beautiful with its acres of lush greenery. The ranch has no need for lawnmower, as three cute sheep take over the job of orchard and vineyard maintenance. Their manure helps fertilize the soil, and they cost about half the price to keep around as fossil-fueled tractors and weed whackers. 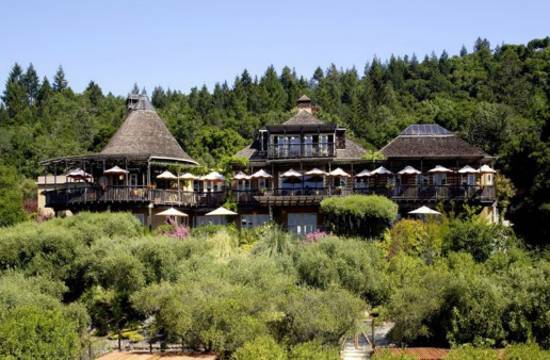 The Auberge Du Soleil, Napa Valley, Napa Valley, California, is a wonderful pl;ace to visit to enjoy sustainable design and beautiful surroundings. Garbage is probably one of the last things you think about at a luxury resort like Auberge du Soleil, but this amazing property is all about it. It is been collecting its compostable food products for the Upper Valley Disposal and Recycling Program, which then processes and shares the rich compost with area vineyards, farms and resorts, including the Auberge itself, for use in landscaping and gardening. The Auberge offers tons of incredible outdoor activities, like hikes, hot air ballooning and bikes for rent. 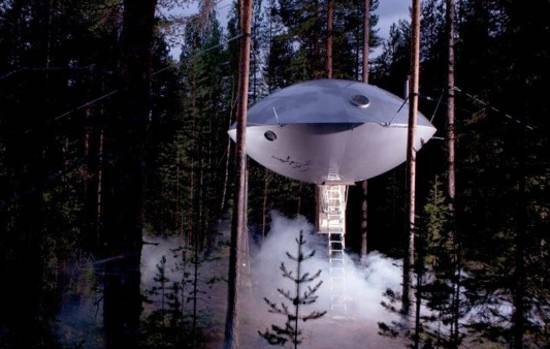 The Treehotel in Harrads, Sweden looks unusual, demonstrating futuristic and eco friendly architectural design. It uses hydroelectric power, LED lights, eco friendly toilets that odourlessly combust or freeze waste. Outdoor lovers will find no shortage of invigorating activities, from hiking and horseback riding to dog sledding and kayaking. 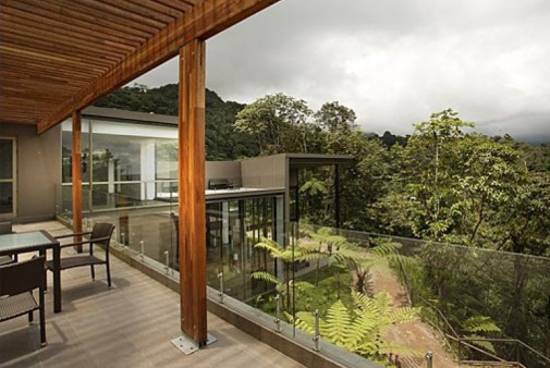 The Mashpi Lodge is located in a highly biodiverse Andean rain and cloud forest in northwest Ecuador. 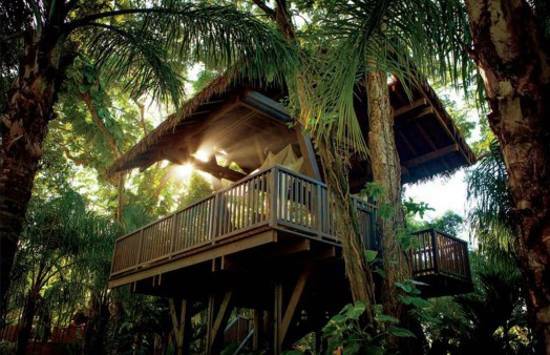 The Mashpi Lodge has outdone every old-guard, eco-conscious hotel, offering sustainable design, luxury and pleasure. The hotel is situated in a 42,000-acre protected area and employs an on-site biologist who spent two years there before the hotel was even built. The eco friendly hotel built its own hydroelectric plant that is waste-free and silent, and uses a stream which eliminates the need for a landscape-changing dam.